Finally, this is not about creating a finished product. This is about taking time to nurture your creative self every single day. 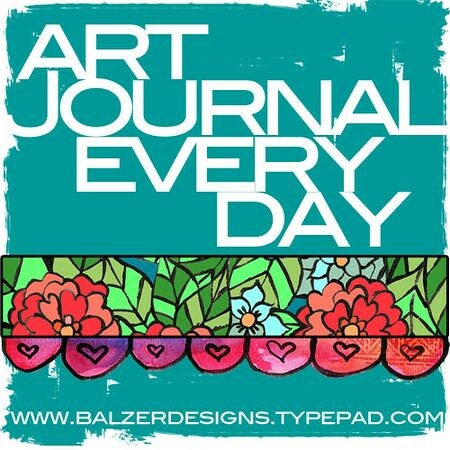 This week’s Art Journal Check in (week 8) is my guest post over at Julie Fei-Fan Balzer’s blog! Julie asked me to contribute with something about my monochromatic series and I was thrilled to do so. The article is called Collecting colours! Check it out! So if you came her from Julie’s blog for the first time I just wanted to say Welcome! 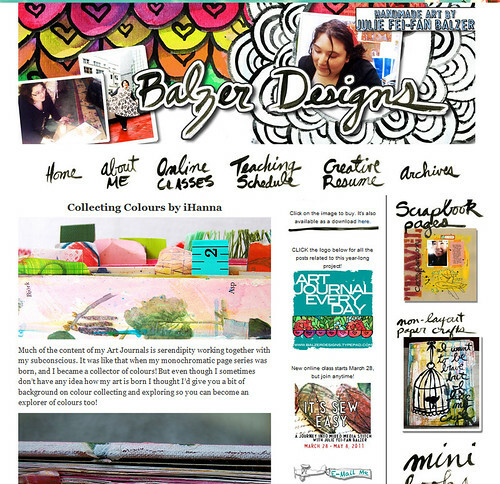 Feel free to stick around and read a few posts, maybe previous tutorials, or about my Art Journal or on Exploring colour? Feel free to leave a comment so that I can come visit you too. Also thanks to my lovely regulars, especially for lovely and encouraging comments on my flower painting this week! It means a lot and I will get to painting very soon I hope. This entry was posted in Inspiration and tagged About Me, daily creating, guest posting. Bookmark the permalink. Hanna, I just visited your blog thanks to your guest blog post on Julie’s blog and I couldn’t stop reading! I love all the inspiration that can be found here! You’re listed under my favorites from now on! (and I love Sweden too…I have even lived there for a while. Such a beautiful country!) Thanks!!! Hi Sandra, thanks for taking the time to comment! So glad you like my blog/writing! Love your quirky and fun designs too at a quick glance. See ya around! Hi Hanna! I’ve been visiting your blog for a few weeks now, and you are definitely one of my very favorites! I enjoyed looking back at your post about your goals for creative actions for this year. I had started a list of my own about a week ago, and added a few more ideas based on your list. Thank you, also, for all of the art journal inspiration!